Menstrual health is still a taboo although it affects many women and girls in their everyday-life. We want to address this sensitive issue to empower girls and women throughout Zanzibar. Talking to many women in urban and rural areas, we found a need for practical, low-cost methods of menstruation management. We aim to establish a long-term programme to promote menstrual health through education and the distribution of reusable supplies. First step is to introduce the use of reusable materials as an affordable and environmental friendly alternative. Later we want to enable women to produce reusable pads in Zanzibar. Every business needs seed capital. To support women establish and run their own business, we provide interest-free loans to our NGO members, based on trust. Additionally, we connect people and ideas, offer business advice and teach basic entrepreneurship skills to help people create stable income opportunities through their successful ventures. Long-term, we plan to expand these services to the general community of Zanzibar. We started a long-term vegetation programme in 2017 to improve the urban environment in Zanzibar, keeping the city green and healthy. The central aim is to increase indigenous trees in the historical Stone Town, to enhance the surroundings for residents, tourists and numerous street traders. In cooperation with the Islamic School, a plant nursery was established where seedlings are grown for distribution and cultivation in urban areas as well as agricultural use. Students help to landscape a small park and outdoor study areas within the school grounds. During the course of an event in 2018 in collaboration with The Red Cross, 100 additional trees were planted there. The Zanzibar Bora Language Centre was founded in 2015 to provide quality education to orphans and children from deprived families. It's aim is to teach not only foreign languages, but to convey general life skills. 40 children, age 6-18, attend our classes which are currently held in English. We support the students with their formal schoolwork and prepare them for exams. Modern methods and materials, like educational short films, are used to discuss social and political topics. This encourages students to form their own ideas and opinions, which helps in building character and self-confidence. Many things are planned for the immediate future: expanding the offered courses (foreign languages, computer skills, arts and handicraft, entrepreneurship), our own school building, a school bus and setting up a school library. Local Zanzibari handicraft and arts are significantly influenced by the island's extraordinary history. Traditionally, only natural materials were used to create everything from toothpicks to houses. We work together with craftspeople and artists to fuse traditional manufacturing and modern design for home decorations, jewelry and clothing. The quality of the products is as important as promoting them. 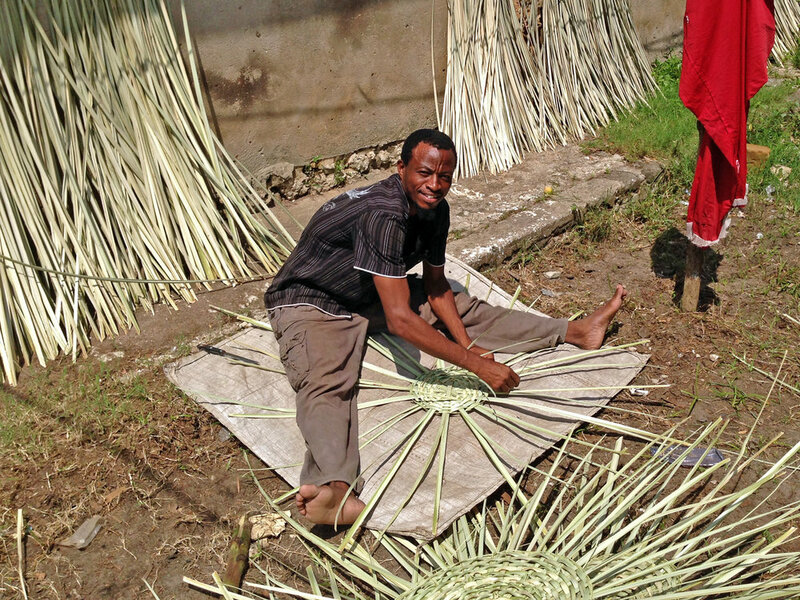 To help the production and marketing of products made in Zanzibar, we support craft workers to improve the quality of their merchandise and find potential customers. We further provide workshops for locals and international guests interested in learning to craft by hand — the Zanzibar way. 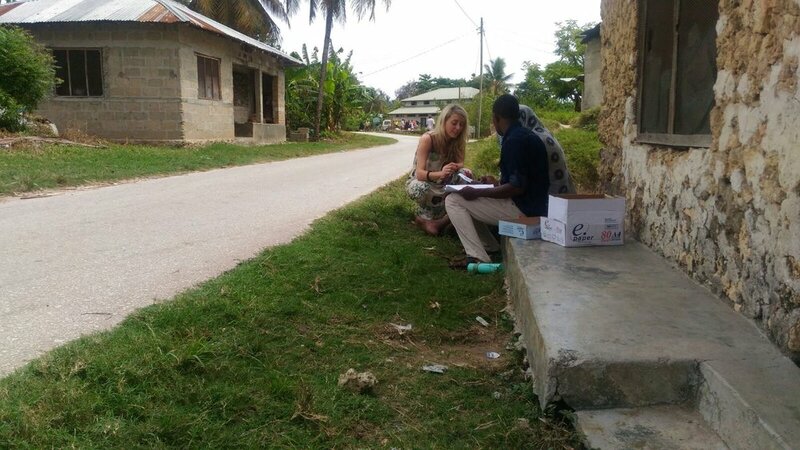 Many common diseases in Zanzibar are preventable. Initiatives like WASH (Water, Sanitation and Hygiene) present effective measures to educate people about the relationship between environmental conditions, their personal behaviour and health effects. We follow two complementary strategies: specialised training classes for our waste workers in cooperation with the Mnazi Mmoja Hospital and public media campaigns aimed at health education for the general population. Our efforts are met with major interest and concern. The Glitters Volunteer Group was established in 2012 to improve the environmental conditions in the historic city centre. Since then we have been providing daily cleaning in urban areas, including two of the main market places. The cleaning activities provide employment for unskilled workers, especially youths and women. Our workers are part of the daily struggle to keep the city clean and serve as role models in their community. From 2014-2016 we conducted research on solid waste management at the household level in urban Zanzibar. Clearly, the situation needed improvement and still does. Here, waste management infrastructure as well as household practices come into play. We work hard to change the structure and behaviour with and by the community. Marking a milestone in our efforts, the central market in Stone Town was the first public urban area to be equipped with dustbins. This was implemented in cooperation with the Zanzibar government in 2015.